Choose one tactic among 12 and beging your anti-aging program now! The year is half done. Are your goals for the year also half finished? The half-year mark is a good time to assess if you’re on the right track relative to want you wanted to achieve for the year. 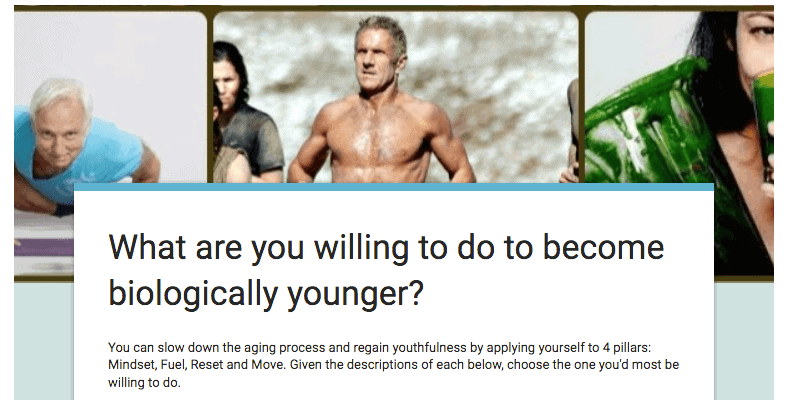 I don’t know what your personal goals are, but I do know the mission of this site is to help readers and Subscribers do as many of 12 anti-aging tactics to live a long and strong life as is possible. This mission is not to enable you to live another 10 years in some nursing home, but to give you a very good chance of living an extra 10 years or more fit as a fiddle. To do that, you have to adopt specific behaviors, and for that you need concrete goals. It’s time to choose your anti-aging program. A list of 12 life enhancing, anti-aging tactics you can begin to do now. A summary of why the each tactic is important. Links to further reading on each tactic. The opportunity to take a one minute survey to discover what is most important to you. Let’s begin with Jack LaLane. Do you remember him? I like to use Jack as an example of what’s possible. He epitomized the healthy lifestyle, which for him included plenty of exercise, fresh, diverse food, vegetable juice and a great mental attitude. And yet over his long and storied life, Jack LaLane made the lifestyle choices that made him an icon and enabled him to live an enviable long and strong life. 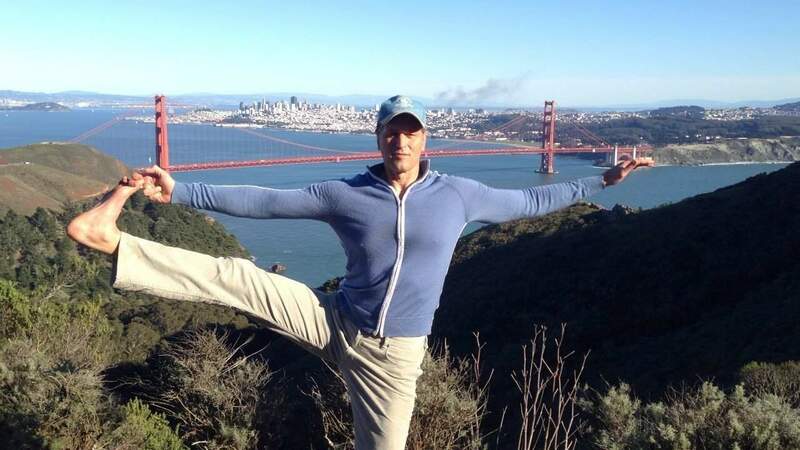 Rather than be envious, why not channel your own Jack LaLane? Why not apply yourself to doing some of what he did? Click here to see what healthspan looks like. Getting on the Jack track can begin with a survey that was written to help you focus on which of 12 anti-aging, healthspan-extending tactics are most important to you. The survey questions are related to the 12 anti-aging biohacks I’m currently writing about in a forthcoming book, The Ageproof Method. Respondents are asked to choose the one they most want to achieve. This is not to say that only one is sufficient. It’s not, but trying to do all 12 at once is untenable. That old Chinese expression – “a 1,000-mile journey begins with the first step” – is apropos, in that slowing down the aging process and extending healthspan, possibly even lifespan, may require all 12 steps, but start with one. Let’s go through each of the 12, see which are the post popular given the survey results so far and dig a bit into what each one offers. The objective is for you to be able to choose how to begin your own anti-aging program. I want to live my life guided by focused intention is the first choice offered in the survey and represents the first biohack that can help you increase your healthspan. As of today, 14.9% of respondents chose it as their number one priority among the 12 choices offered, which makes it the 3rd most popular choice overall. I’m unsurprised by the popularity of this selection. After all, how can you begin any journey to get where you want to go without having the intention to do so? If living a life built by intention is important to you, learn more with this article: Create Your Day In Five Minutes With Biohack #1. I want to learn to build new, empowering lifestyle habits is the second choice and so far 15.5% of those taking the survey chose it, making it the 2nd most popular overall. Again, unsurprising given that new lifestyle choices and behaviors will not become ingrained into your everyday life until they can become habitual. If you want to learn how to build good habits, begin with this article: Why Change Is Hard — The 3 Reasons We Get Stuck. I want to develop a mindfulness/meditation practice is the third choice on the survey and 2.2% chose it as their number one priority, making it the 10th most popular. Not everything can be equally liked, but I wonder if more people realized the power of mindfulness, or meditation, would it be something they’d be willing to do? If developing mindfulness or a meditation practice is important to you, learn more with this article: Meditate Like A Monk In 20 Minutes. I want to do a detox/cleansing program came in (so far) 9th at 2.8%. Given the popularity of detoxing these days, this was surprising to me, but again it could simply be that people realize that by choosing to build habits or have intention, everything else is doable. I ruefully admit to you that the detox chapter of my forthcoming book, The Ageproof Method, has been the most difficult to write and presently remains incomplete. The reason is that there’s a lot of hard, abstract science that needs to be understood well enough to simplify it for the general reader while still maintaining integrity and accuracy. We live in a toxic world where a newborn comes into the world with hundreds of toxins inside him or her. Toxins compromise every biological function to some degree or another, including the way you age. Although our bodies have natural, effective detoxification mechanisms, they can be (and often are) overloaded. Specific nutrients and fiber should be consumed daily to support our detoxification system. To touch on this a bit more, you can get a good start today on getting rid of your toxin load by consuming more green leafy vegetables, taking the supplements glutathione, N-acetyl carnitine, R-lipoic acid and pectin, and foods filled with fiber, such as lentils, beans, oatmeal, flax seeds, chia seeds and hemp seeds. If detoxification is important to you, learn more with this article: What You Absolutely Must Know About Detox Cleanses (But Don’t). I want to improve my gut health and immune system say 9.4% of respondents, which was the 5th most popular selection. What do gut health and the immune system have to do with bugs? Glad you asked, because although it’s crazy, the fact remains that only 1/10 of you is you. What I mean by that is there are approximately 100 trillion single-cell bacteria in you, ten times more than the human cells that make you human. 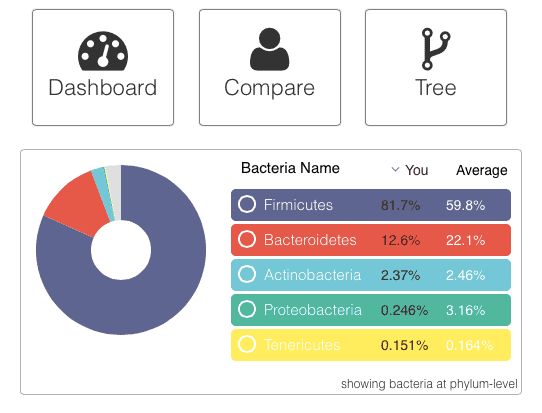 Bacteria are a part of us. Just like you can’t see your own human cells, you cannot see the bacteria cells. But they are there, and have a profound effect on your health and well-being. Helps to extract energy from the food you eat. Affects your immune system (for better or worse). Influences your body composition – thin or fat. Can affect your mood, even contributing to depression. Turns out that you can do a twofer. Consuming the high fiber foods, leafy green veggies and nutrients that can improve your detoxification capacity also feed the beneficial bacteria on and in you, which are the bacterium that helps improve your health and well-being. You’ll also want to consume plenty of prebiotics and probiotics. Prebiotics feed probiotics, the beneficial bacteria. Foods that contain these little fellas include fermented foods (sauerkraut, miso, pickles, tempeh, kefir, kimchi, etc. ), yogurt and raw cheese, particularly that made from goats and sheep’s milk. And, of course, there are supplements: Inulin for prebiotics and Probiotics for probiotics (ha!). The goal is to arm the good bugs with nutritious and fibourous foods that make them strong and, simultaneously, disarm the bad bugs, because they don’t do well with good food – they become mighty with junk food. If your microbiome is important to you, learn more with this article: 100 Trillion Reasons You’re Fat, Sick and Depressed. I want to optimize my hormones, such as testosterone and estrogen, say 4.4% of respondents, which was the 8th most popular selection. For instance, men with big bellies and low testosterone are unlikely to get trim from diet and exercise until they boost their testosterone. (Read 8 Testosterone Enhancing Supplements That Will Keep You From Turning Into A Girl. That term “hormonize” that I used is purposely spelled that way. It suggests that hormones need to be harmonized. Think of an orchestra comprised of a dozen instruments. Once the music is played, it can be either harmonic, or discordant and unpleasant to hear. So is it with your hormones. For your metabolism to work effectively and to maintain a healthy weight, your thyroid, adrenals, insulin and leptin need to be functioning properly and in harmony with each other. Men, assuming that you don’t have a particular issue with a specific hormone and you’re over 40, it’s most likely your testosterone needs attention. If this is important to you, learn more with this article: Boost Your Testosterone The Natural Way: Here’s How. Women, among other things, you need to get the ratio estrogen and progesterone correct. If this is important to you, learn more with this article: Bio-identical Hormone Replacement Therapy Is Simple – Just Follow Mother Nature’s Recipe. I want to know the best genetically determined diet for me is currently ranked 7th with 6.1 % of respondents choosing it. I’m referring to the best genetically determined diet as one where you “eat righteous”, because when doing so making the right-use-of the foods consumed. Frankly, it’s not easy to find out what is the best diet for your genetics. To do it, you need to know about your ApoE (apolipoprotein) gene. “The ApoE gene provides instructions for making a protein called apolipoprotein E. This protein combines with fats (lipids) in the body to form molecules called lipoproteins. Lipoproteins are responsible for packaging cholesterol and other fats and carrying them through the bloodstream. Apolipoprotein E is a major component of a specific type of lipoprotein called very low-density lipoproteins (VLDLs). “VLDLs remove excess cholesterol from the blood and carry it to the liver for processing. Maintaining normal levels of cholesterol is essential for the prevention of disorders that affect the heart and blood vessels (cardiovascular diseases), including heart attack and stroke. So, what this distils down to is that how well you do on a high, moderate or low carb or fat diet is dependent on you ApoE genotype. As you can see in the table, there’s a different ApoE response to foods with different carbohydrate and fat compositions. If you’ve been flummoxed by what you should be eating, because no matter what you do with your diet, nothing seems to work, consider asking your doctor to prescribe an ApoE test. Until then, read Dr. Michael Greger’s new book, How Not To Die. It’s filled to the brim about how to make food your medicine. More about it here. You can learn more about ApoE by reading the article, What The Heck Is “ApoE” and Why Does It Reveal Your Perfect Diet?. I want to add proven superfoods to my diet rings in at 11th most popular given its tiny 1.7% selection. It’s easier than overhauling your entire diet! Say you’re a meat-loving fast food aficionado, and everyone around is telling you to eat better. Maybe you’re telling yourself the same thing. Problem is that we don’t like things we like taken from us. So, instead, add stuff. In this case, add superfoods. Superfoods can simply even things out a bit. Some are quite common, like pure water; others you may not heard of, like Indian Gooseberry (really good to improve insulin sensitivity, which those with high blood sugar need). I have my own list of superfoods, but I want to present those of Dr. Josh Axe, perhaps as an incentive to read his insightful e-book, Superfood, Super You. What you do here is simple. Go over the list and choose two superfoods that you will add to your diet next week. Then go buy them. Then, next week, eat them. The following week, add another, etc. till you’re regularly consuming most of what’s on the list. If you’d like to learn more about superfoods and see my list of 40, go read The 40 Best Age-Erasing Superfoods. I want to discover the best nutritional supplements for me comes in at 6.6%, putting it at 6th most popular of the 12. 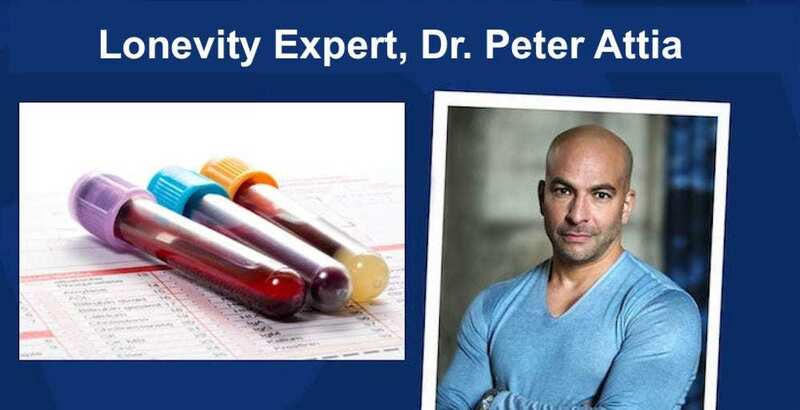 Unless a blood test says otherwise, you’re unlikely to be deficient in the regular array of vitamins and minerals that are in the typical multivitamin/multi-mineral, UNLESS you’re diet is crapola. You can make that determination. You can read why Dr. Mercola likes these supplements here. Ray Kurzweil’s supplement list is quite a bit bigger, probably reflecting the fact that he gulps down more than 100 supplements each day. I got the list from LifeExtension Vitamins, which also gives some background on why Ray chooses these particular supplements. Of course, I’ve also written about supplements and take a budget-busting amount myself. One is called Basis. Some Nobel Laureates developed it. My article about it has been the most-read on this site since it was written. If you’re interested in supplementing your diet, check out the articles I’ve written on supplements right here. Most of them are categorized by the desired effect, or what specifically they’re designed to help, such as Bimatoprost to grow hair, Phospatidylcholine to boost brain power and reduce wrinkles, two botanicals that prevent colon cancer and reduces inflammation, various supplements to reduce wrinkling and more. Go here to read more on supplements. I want the mobility of a child, with full articulation of my joints was selected by 9.9% of respondents, ranking it 4th. Mobility wizard Kelly Starrett holds court. If you forced me to chose just one physical exercise type of thing to do, I’d want to punch you, but after I calmed down, I’d chose a mobility routine. The reason is simple: Big, lean muscles and a cardiovascular conditioning will do me no good if I can’t move. Over time, your body’s ability to move degrades. Just go watch a child and then an old person to see what I mean. The youngers can (and frequently do) get up and down off the ground without the aid of their arms, can squat so the rump touches the heels, can sit so that the rump rests comfortably between their calves and feet. I have a habit of doing mobility drills every morning. They take about 12 minutes and make me feel like a million bucks on an inflationary day. They will be the reason I’ll be able to move about like a young man when I’m an old one. If you’re interested in mobility read and watch The Functionally Fit Workout, Warm-up and Mobility. I want to improve my aerobic and anaerobic conditioning was chosen by 1.7% of respondents, which ties it with Superfoods for 11th place. I guess not many who took the survey want to amp up their heart rate anytime soon. What I mean by moving fast is to do short, intense bursts, such as sprinting, whether it be on grass, a track, up stairs, on a bike or a cardio machine. If you haven’t done fast work for a while, you need to ease yourself into it very slowly. There’s no point in hurrying your progress and then injuring yourself (like I’ve done many a time) and then you’re back to square one, perhaps for months as your injury heals and your conditioning wanes. Moving fast has become in vogue of late and for good reason. Studies indicate that just 20 minutes of High Intensity Interval Training (“HIIT”), for instance, provides more cardiovascular condition than hours of slow cardio, such as jogging, and has a greater metabolic effect (aka makes you leaner). There is a direct relationship between physical activity and life expectancy. Exercise can activate telomerase, a well-known anti-aging enzyme. A single workout can activate telomerase in circulating cells. High intensity interval training increases telomerase as well as reduces p53 expression, a very interesting protein in humans that contributes to premature aging and tumor suppression. That said, you shouldn’t abandon the slow mo cardio training. Jogging, as an example, is safer than sprinting, at least for your muscles, though an argument could be made that spending more time stressing your joints isn’t particularly helpful. In the final analysis, do what you’re willing to do. See if you can mix it up, either during the same exercise session or alternating between slow and fast on alternate exercise sessions. Get Biologically Younger With A Fast HIIT Feast-Famine Program. Finally, the winner: I want to become leaner and more muscular was selected by 16.6% of respondents, outpacing Intention and Habit Making. It was the #1 choice. I can imagine what happened. People stare at the 12 options. Many think, “Hmm, if I was able to put the right habits in place I could eventually attain every one of these 12”, and so 30.4% chose Intention and Habit Making combined. It’s kinda like that “marshmellow test” where psychologists test children’s ability to defer an action in order to get a better reward than the one immediately available. That greater reward – the number one choice, lean muscularity – could eventually be attainable if we first chose a method of getting there (by learning habit making, for instance), but that would take time. Perhaps, most survey takers said the heck with that and dived straight to what they wanted, and viola, lean and muscular it was. First, know that you can’t outrun the fork, which is to say that your diet matters; in fact, for the average person it more influences body composition than resistance training (lifting bodyweight or weightlifting) or cardio training (sprinting or long-distance running). I say “average person” because if you’re training like an Olympic athlete your exercise may be sufficient to overcome a poor diet – but you’d never get a medal, cause you competition will be eating to win. Thus, make sure you’re taking steps to realize the info in numbers 7, 8 and 9 above. If you like to walk, walk up hills with a 20-pound weight in your backpack. If you like to run, run up stairs and if that’s easy enough, add the weighted backpack. If you like to bike, add sprints or bike up hills. If you like to do yoga, put on either a weight vest or a weighted backpack, although it will compromise the poses done on your back. If you like to lift weights, cycle between lifting light weights slowly (five-second concentric contraction – muscle shortens, and five-second eccentric contraction – muscle lengthens) and lifting heavy weight quickly (but ABSOLUTELY make sure you know proper alignment first). You get the idea. Each of these suggestions involves increasing the resistance of the activity and in so doing, you increase both the muscle-building and metabolic response. Do this regularly while consuming the right nutrition and you’ll soon have a leaner and more muscular body. There are 12 areas of focus that, if implemented, have the potential to slow down the aging process and lengthen your healthspan. Take the survey to see which is the first one you want to focus on. Then Re-read the relevant section in this blog post (from 1 thru 12). Once armed with the needed information, go do it. After the first choice becomes a habit, choose another, and so on. For more on this topic, read 12 Ways To Increase Your Healthspan, Starting Now. Want to gauge how well you’re aging? Check out Predict Your Lifespan By These 12 Tests, which not only shows you the tests, but tells you how to improve your score.